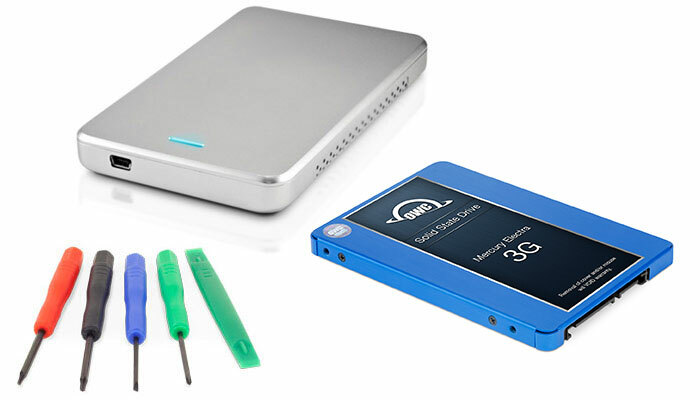 This enclosure is not designed for support of SSDs and recommended to be used with 2.5" Hard Drives only. Any 2.5" Serial-ATA Hard Drive up to 9.5mm height. Not recommended for Solid State Drives. Rating: 5/5 fabulous upgrade for the original HD drive November 20, 2018 Marked increase in speed with booting up and changing programs. Great customer service and technical support. Installation instructions/video spot on. Rating: 5/5 SSD 3G September 24, 2018 Updated the spinning hard drive on a 2009 MacBook. This was passed down to my son who told me how slow it was running. I called OWC and they told me that this is the remedy to my sons slow running 2009 Macbook. Install was easy. I had to call for tech support for how to do a fresh OS install and they helped me right away! My son told me the 2009 MacBook is running a lot faster! Highly recommend the product and this company! Rating: 5/5 A big improvement in MBP performance August 24, 2018 I've never had a misfire with an OWC upgrade, but this one worried me and I probably spent a year thinking before pulling the trigger. The mechanics of the installation are very simple and at no time was I concerned about the surgical aspects of the job. The OWC upgrade kit gives you everything you need, except for SuperDuper (for the data transfer) which I already owned. After the cloning and then installing the SSD into the MBP, the boot went without a glitch. But, the fans were spinning up and Activity Monitor showed several unfamiliar processes eating up large amounts of CPU capacity. I was quite anxious at this point. I Googled what these processes were doing and how to calm them, but I needn't have. After a couple of DAYS things have totally smoothed out and I couldn't be happier. The lesson here is to not panic. Search data bases were being rebuilt, shared folders re-synchronized, etc. I don't know why this has to happen, but all's well that ends well. I guess that there are hidden costs to using iCloud, Dropbox, Google Drive and the like. I now have a 2010 MBP that makes me smile like when it was new. Rating: 5/5 So simple, so awesome! July 20, 2018 I needed to get a little more mileage from my aging Macbook Pro and replacing the original spinning hard drive with an OWC SSD was just the ticket. The kit has everything you need to get the job done, and the documentation on how to do it is clear and concise. Getting the SSD into the case and formatted was simple. Backing up the original drive was also a breeze, although the process of actually copying the data over takes a while. Thanks to the incredibly useful how-to videos, the process of replacing the original drive inside the Mac went without a hitch. As far as performance goes, when people tell you that replacing your spinning hard drive with an SSD is like getting a new computer believe them! I'm astonished at how quickly my Mac boos up and how little time it takes for apps to open. Even the 3G Mercury Electra screams. If you are at all thinking about how to improve the performance on an older Mac then GET THIS. Rating: 5/5 Ease of Installation July 18, 2018 Couldn't believe how easy the installation was. They videos OWC provides are clear concise and not only make process easy but totally understandable. There were several times I stopped the video, and even replayed, to be sure I understood what needed to happen. All came off without a hiccup. The drive, its holder and now my old drive holder is perfect for my needs. 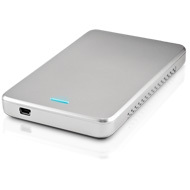 The drive is operating flawlessly and is remarkably faster than original Apple drive. Rating: 5/5 Exactly as advertised June 14, 2018 make sure you have a BOOTABLE BACKUP I used my trial period of carbon cloner and worked like a charm. Rating: 5/5 Great SSD upgrade April 24, 2018 Bought this for my wife's 2010 Macbook Pro as an upgrade to her slow 320gb spinning drive. Easy install, tools included, took me just a few minutes. Mac is running fast and even the wife noticed the speed difference. Rating: 5/5 Installation April 12, 2018 Replacing your hard drive on my MacBook Pro couldnt have been any easier with the online videos from Macsales, they take you every step of the way and even tell you according to your computer what parts to buy. Now my new hard drive works perfectly, startup time is so fast. I would highly recommend Macsales to all anyone needing to do an upgrade. Rating: 5/5 Like a New Computer March 21, 2018 Installation gets a bit more complicated when you are installing fresh, but the videos make it easy and everything went relatively smoothly. Rating: 5/5 Fantastic! March 14, 2018 I bought this to help refurb an old MacBook Pro (late 2008) and the difference in speed is unbelievable! It’s like a new machine! I also bought a 4gb ram upgrade on here for the same project, and I couldn’t be happier. The kit for this (with the tools and enclosure) is well worth the extra cost. I keep the old HDD for backing up my computer and important files, and the tools were exactly what I needed to get the job done. Thanks!!! Rating: 4/5 Good drive, nice bonus February 18, 2018 I quickly outgrew the 480 GB SSD I was using as a startup on my Mac tower. I cloned it to this 1TB SSD and am using the original as an emergency startup. The drive case is simple plastic with bus-powered USB2 but as a bundle it was dirt cheap and might come in handy at some point. Rating: 5/5 Key upgrade for 2010 Mac Mini Server February 10, 2018 Replacing a drive in the mid-2010 Mac Mini server is an undertaking, it was worth it.I only removed the "lower bay" or Disk 1 OEM drive which had failed operationally and according to SMART. I replaced Disk 1 with an OWC 60GB SSD to host primarily the operating system. The video that OWC has on replacing Mac Mini server drives was very good, although I was unable to get the WIFI grill to seat correctly -- but I'm OK with that. Anyway, I installed a new copy of MacOS High Sierra and with APFS, I'm good to go with super quick boot-ups and a far more reliable experience for a content caching server and periodic desktop computer. Thanks again, OWC, for helping to resurrect an ailing, slow Mac. Rating: 5/5 made my 2008 MacBook Pro pretty fast January 28, 2018 I was told for years that upgrading my old Mac with an SSD would give it new life. And I finally bit the bullet and did the swap. It was great. I highly recommend buying the kit, so you can clone your existing drive into the SSD (when it's in the external enclosure). Highly recommend this method to extend the life (and speed) of your older Macs. Rating: 5/5 Simple upgrade that will SUPERCHARGE your old MacBook January 25, 2018 I've had my MacBook Pro since 2009 and have always loved it EXCEPT for the SLOOOOOOW bootup and response time. This upgrade changed ALL of that. BEFORE: 2 min 14 sec to boot. AFTER: 20 seconds. It also responds a lot faster during general use and I'm seeing better battery life since I don't have a spinning mechanical drive any longer. The upgrade was easy and the OWC instructions and support made it a breeze. So easy even a caveman could do it. Worth every penny. Rating: 5/5 produce worked great, as expected. January 24, 2018 the ssd has worked well, computer speed like new. Rating: 5/5 This'll Kick Your Old Mac Up a Notch or Two! January 21, 2018 This transformed my mid 2009 mac book pro 13" from almost unusable for any photo / video media to relatively blazing (not having the pleasure of working on a recent machine). A couple examples: 1) Prior to the swap, the Photos app on my mac couldn't display a 1000 new images to import from my iPhone, but no problems after installing this SSD. 2) Just opening System Preference would take over 30 sec with old HDD, now takes just a couple. Installation is literally as easy as the OWC video shows. I'm so happy with the experience that I'm buying the equivalent for a mid 2010 mac book pro 13". Rating: 5/5 Excellent SSD Replacement January 15, 2018 I bought this replacement SSD for my mid-2010 unibody MacBook and it sped things up greatly. The tools and enclosure drive were extremely useful and the instructions were clear. I was able to set up this drive and transfer all my information in only a couple hours. Rating: 5/5 Very Pleased January 9, 2018 This renewed my old laptop, simplified the upgrade. Rating: 5/5 Revitalized my 17" MacBook Pro!!! January 1, 2018 My MacBook Pro was showing it's age with the original drive and the system was bogging down (original HDD was 512 GB). The replacement drive went in without any problems (the Installation Video was extremely helpful)!!! I would recommend this product to anyone that would like more life out of their MacBook Pro or even if you just want to speed up the system (I travel quite a bit, and the peace of mind that comes with having an SSD is compelling)!!! Rating: 5/5 Transformed my 2010 MacBook Pro December 14, 2017 For a first-time attempt at doing any "tech" work on a computer, replacing my old hard drive with a 250gb OWC SSD was very successful. It would have been nice to know if it was formatted for Mac OS, but since it wasn't, I got to practice installing twice! 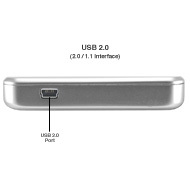 Other than that, it has really speeded up things, extending the useful life of my MacBook. I wish now that I had opted for the 500gb drive. Rating: 5/5 Nice improvement for aging machine! December 8, 2017 Great service for a wonderful product. Seems fairly priced, and my computer is running faster. Updated a mid-2010 MacBook Pro. Easy installation, yet tiresome updating and upgrading, and we're up and running. Thanks for being so prompt. USPS stalled for a couple of days, but it still came in time to salvage the old drive.